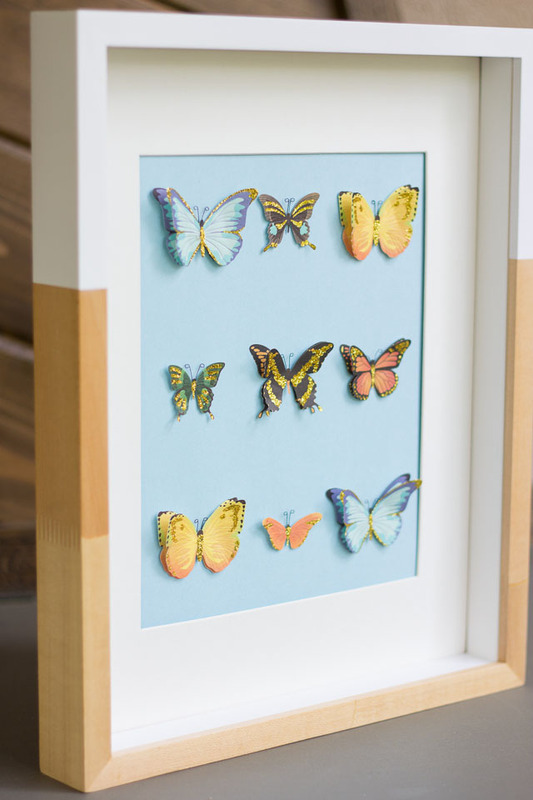 This life-like butterfly specimen art is as easy as peel and stick! You know you’ve found a really good craft supply when you are able to put it to multiple uses. 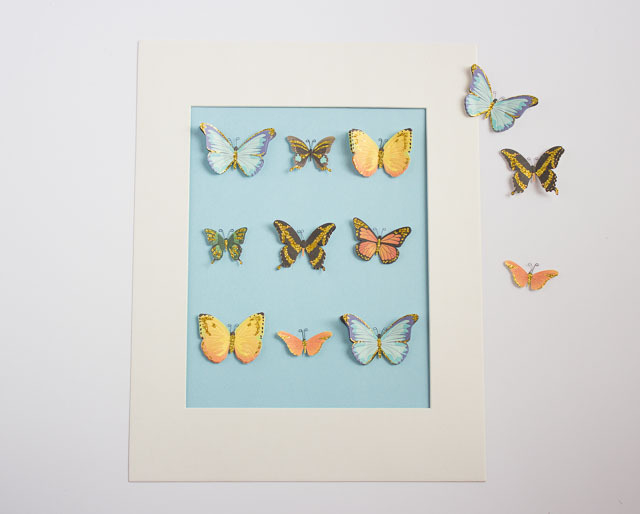 If you feel like you’ve seen these butterflies before – you have! 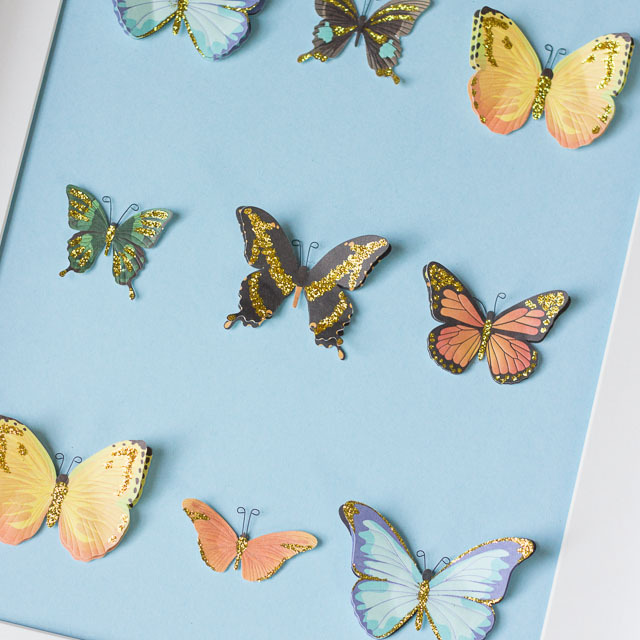 I am in love with these Martha Stewart butterfly stickers and used them to decorate a cupcake stand and a Mother’s Day brunch. 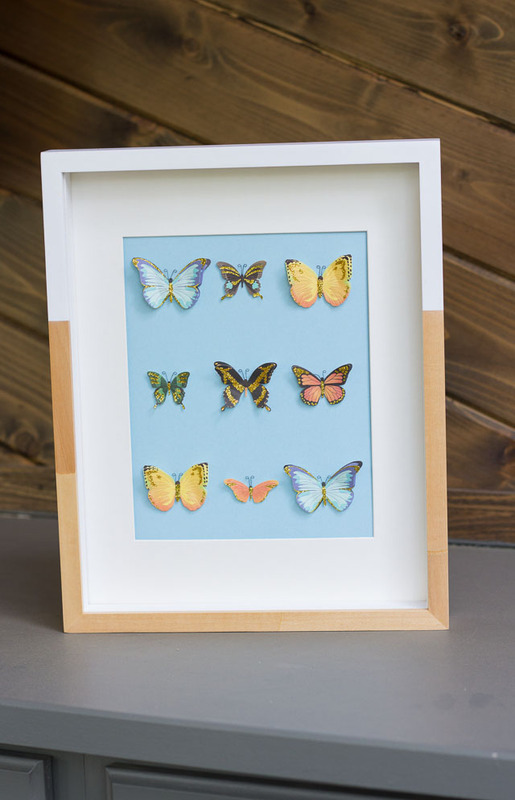 When I was done with them they were much too pretty to throw away, so I decided to repurpose them as art that I plan to hang in our guest bedroom. 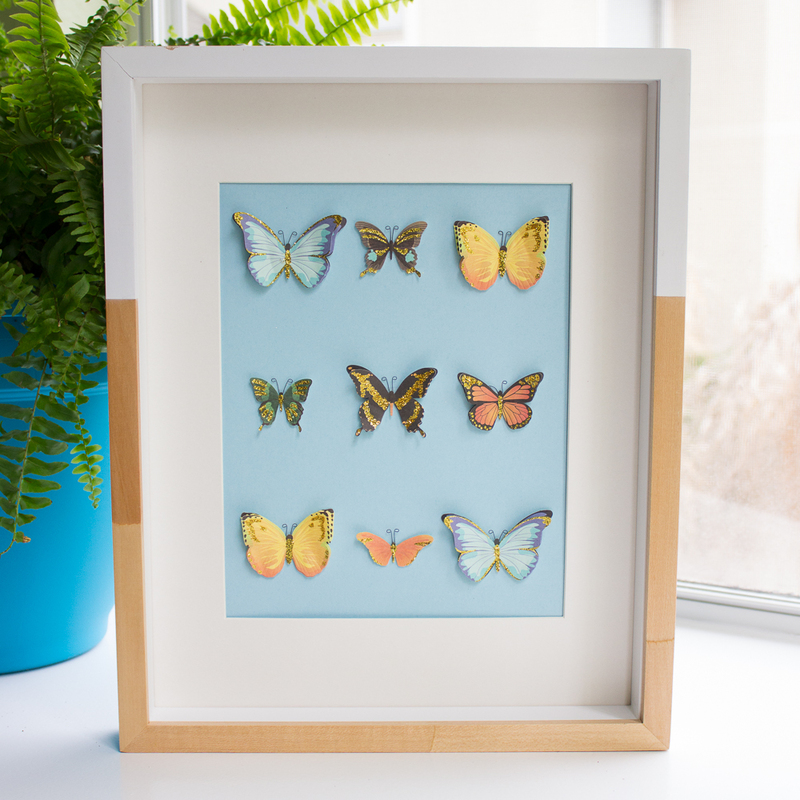 To enhance the 3D feel of the stickers and make them feel like true specimens I framed them in this cool shadow box: You can whip up some new art for your wall in under 10 minutes. Here’s how! 1. 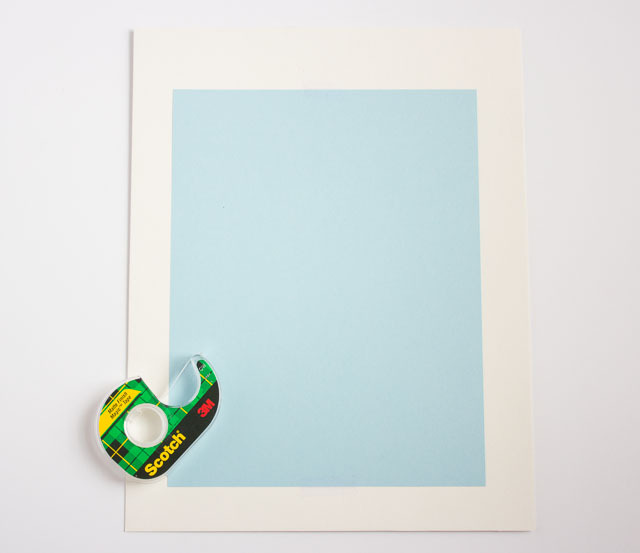 Tape your card stock to the back of your mat (if using a mat with your shadow box): 2. 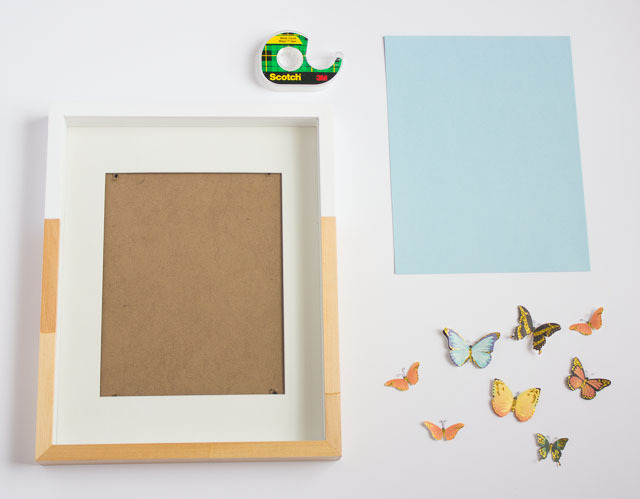 Arrange your butterflies however you like. I loosely laid mine out until I found an arrangement I wanted and then stuck them down securely. 3. Finally, bend their wings a little bit to make them really look like they are flying off the page. Frame them and enjoy!